Lacrosse Comes to Madison - What a Score! What you say? 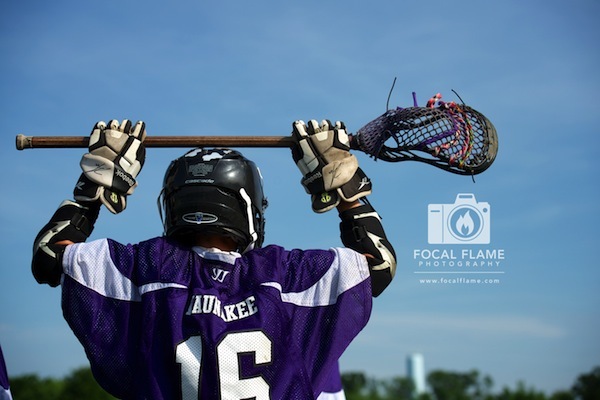 Oh, not the city — lacrosse (all lower case) — the fast paced field sport, with its roots in Native American culture. Combining elements of basketball, soccer, and hockey, while favoring speed, agility, and finesse over brawn, lacrosse is one of the fastest growing sports in America. Madison scored big when chosen by US Lacrosse to host the 2013 US Central Lacrosse Championship in the area. This open tournament attracted teams from eight central US states, which according to Jamie Patrick of the Madison Area Sports Commission (MASC) "had an estimated direct spending impact of over $998,000." So how did Madison win the bid for this premier sporting event? "Madison is the intersection of great people, meeting venues, restaurants, attractions, and support all wrapped up in a unique personality. It’s why people like coming here for events," said Patrick,"We also have great June weather (and) a venue that fits the needs of the event well." 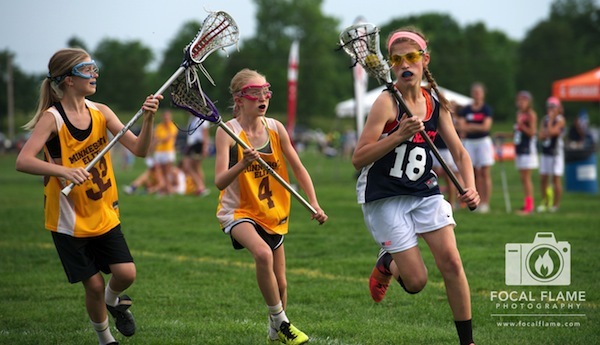 To meet the needs of the 40 teams that traveled to Madison for the championship, MASC partnered with the Wisconsin Lacrosse Federation (WLF) who provided volunteers, scheduled referees, and painted fields. MASC added housing support, volunteer time, marketing and other services and support. Federation President, Dave Wollin, was thrilled that Madison was chosen. "This is a big shot of recognition for Wisconsin Lacrosse, which has been getting downplayed by local media and area universities because the sport is not recognized by the WIAA. But...we have 234 boys and girls teams in the state, including ... varsity level... double-digit growth for the past 7 years." Focal Flame Photography, who photographed the event on behalf of the MASC, congratulates all the players who participated in the championship on a great display of enthusiasm and sportsmanship. We send our heartiest cheers of support to local Dane County UC15 team DC Capitals who earned a #1 bracket seed and posted a 4-1 tournament record, finishing in 2nd place and qualifying to play in the National Tournament in Florida in July. If you would like to help the team cover expenses for this trip, contact them at dccapitalslax@hotmail.com. For more information on how you can learn the sport or get involved as a volunteer or coach, visit www.MADLAX.org. Interested in sports photography for your youth team? Contact us today!